Critical responses to Lear is Here have followed Huang in largely focusing on these autobiographical themes; Wu himself has also foregrounded these issues in his discussions of the performance. However, this abundance of critical attention has left some of the production’s other themes unexplored. In this paper I examine how Wu uses Lear as a vehicle for a meditation not only on specific details of his autobiography, but on larger issues of transience and the inevitability of loss. Although these themes resonate throughout the play, I would argue that Act One, which features Lear in the storm, is a particularly fitting segment with which to view these issues. This is partially because of the lack of stasis inherent in the storm and the heath. 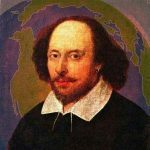 As Steve Mentz argues, “New ecologists see constant change and instability as fundamental to natural systems, and Shakespeare’s play represents the human consequences of living in this incessantly mutable world” (Mentz 139). Wu’s representation of Lear on the heath, I argue, similarly engages with the traumatic consequences of living in a changeable world, especially as those consequences relate to Wu himself. In Act One Wu thus combines his personal autobiography, Lear as a character, and deeply symbolic sets and costumes to relate Shakespeare’s “universal” themes of transience and loss through a highly personal lens. Eschewing much of the original plot of King Lear, Wu structures his production to emphasize this personal experience. Act 1, “Play,” features Lear in the storm upon the heath. Largely nonverbal, this twenty seven-minute long act highlights Wu’s mastery of pantomime and acrobatics. By contrast, Act 2, “Playing,” showcases Wu’s ability to shift roles and the identity fracturing that results. In this act Wu switches back and forth between an astonishing nine characters: The Fool, the Earl of Kent, Lear, Goneril, Regan, Cordelia, blind Gloucester, Edmund, and “mad” Edgar. Act 3, “Player,” returns the focus to Wu, who plays himself as a character in an act tinged with Buddhist overtones. As Huang notes, “the play is a journey from the inner world of the lonely Lear, through a burst of multiple identities and characters, to the autobiographical, manifested by the lonely Wu Hsing-Kuo” (220). Restructuring the play in this way thus allows Wu to dramatize his personal relationship with Shakespeare, the eponymous “meeting” of the second half of his production’s title. Wu’s participation in—and reimaging of—the jingju theatrical tradition is an important element in his autobiographical approach to the play. Jingju is a highly stylized form of theater that combines vocal performance, dance, music, mime, and acrobatics and that has a markedly political component in Wu’s home country of Taiwan due to its close association with “Chineseness.” As Huang notes, “After martial law was lifted [in Taiwan] in the 1980s, jingju’s association with China became its ‘original sin,’ as it were. Jingju thus evolved from a state-endorsed and well-funded theater genre to one that was rejected by the majority of the Taiwanese audience” (Huang 217). Wu’s interest in and commitment to jingju has thus led to several clashes with the arts funding structure in Taiwan. Wu’s frustration at the lack of funding available for jingju performances is palpable in his Act One performance of Lear, as he himself suggests: “You can see that inside King Lear, his thought is full of rage and unhappiness—he is not satisfied. And my character is like King Lear’s; as an artist, I like to work in a way that is very open and free, but when we apply for financial support, we are often examined very strictly, and made to work in more conventional ways. So I am frustrated too!” (Wu) In Act One, Wu mixes jingju performance vocabulary—including acrobatics, stylized gestures, a heavy emphasis on percussion, and movements of his sleeves and beard—with highly symbolic sets and costumes to represent not only this frustration with the apparent transience of jingju in Taiwan, but his understanding of the larger roles ephemerality and loss play in human life. The audience first glimpses Lear standing in a ring of dim light. Because his face and figure remain dark, however, the effect of this light is oppressive rather than revelatory, constricting rather than illuminating. Furthermore, the circle of light on the stage is veined with a lacy pattern that evokes both tree roots and the veins of the eyes, in keeping with not only the topoi of seeing and blindness so central to King Lear, but also Lear’s simultaneously antagonistic and symbiotic relationship to the natural world, exemplified by the storm. For even as Lear rages against the storm, it is presented by both Shakespeare and Wu as a crucial part of his psyche, an observation that is also echoed by Oliver’s apt reduction of the play in “Slings and Arrows” to a relatively simple matter of a great actor and a tin sheet. Wu’s presentation of Lear on the heath in his first act allows him to draw an especially explicit comparison between Lear and the storm, as it is not until the audience hears the first clap of thunder that Lear fully emerges into the light. The storm must begin before the play can. Along with the storm, the set for Act One emphasizes Lear’s vulnerability. Lear’s stage is arranged in a circle, with four large stone figures flanking the playing area. Variously headless or armless and in an antique style, these figures evoke both the civilization from which Lear has been outcast and the inevitable destruction of that civilization. In this evocation, Lear is Here echoes Emily Sun’s argument about the “limits of sovereignty” (Sun 21). Sun argues that what Lear wants—and this is Lear’s big mistake—is freedom from the political realm. However, for this to work out, there must be a political realm to begin with, and this requires that his daughters play the necessary parts. Cordelia’s “nothing” is destructive because it demolishes the knowable political realm in favor of an as-yet unknowable relationality, a connection between people in excess of the roles given to them by the state. King Lear thus calls upon the reader to imagine a world that is “always in the process of being created, always in excess of any kingdom or community conceived according to identifiable predicates of belonging” (Sun 77). In their ability to signify both civilization and its destruction, the statues that loom over Wu’s performance in Act One similarly call upon the audience to imagine society not as stasis, but flux. This is further emphasized at the end of the act, as one by one each of the four statues fall into the performance space. Interestingly, the statues makes room for the second act’s more naturalistic set, which consists of large piles of rocks that evoke the cliffs of Dover and that will play a crucial part in Gloucester’s intended suicide. This relegation of naturalism to the second act, much of which takes place in the palaces of Goneril and Regan and not on the heath, seems odd, especially given the first act’s emphasis on the storm and Lear’s antagonistic relationship to nature. Jan Kott is helpful here; as he notes, “objects have now been raised [in what he calls the “modern theatre”] to the status of symbols of human fate, or situation, and perform a similar function to that played in Shakespeare by forest, storm, or eclipse of the sun” (Kott 134). Although built with the intention of durability, of all but immortalizing the figure depicted, stone statues, like human beings, are always already in a state of decay. In this way statues are particularly useful as signifiers not only for the fall of civilization but, as Kott argues, for human fate. Like the statues, Lear’s vision of political stasis will chip away—indeed, it already has, for Lear’s tribulations in the storm begin after his daughters have cast him out, just as Wu’s performance begins after he has lost his relationship with his acting master, a point which I will further discuss below. By including the statues in his first act, “The Play,” Wu thus gestures to both what has come before in the play text (Lear’s degradation in the apparently civilized realm now controlled by his daughters) and what will come after (the kingdom’s descent into chaos and Lear’s death). Importantly, though, this scene does not come after anything in Wu’s version. Rather, Lear’s exposure on the heath is both the before and after event in Lear is Here, a paradox that, by presenting Lear’s madness as the founding event of the play, emphasizes the extent to which trauma is an inherent element of change. With their missing arms and heads and their ability to act as symbols of both Lear’s outcast status and the inevitability of social collapse, the statues also emphasize the close relationship between transience and trauma. Although Act One is largely nonverbal, Lear’s few songs and speeches reveal a keen awareness of the trauma of loss. One moment particularly stands out for its pathos. Throughout the play Wu uses his considerable skills as a physical performer to evoke not only Lear’s varied moods, but the stark differences between his moments of lucidity and madness. The movements of lucid Lear are purposeful and smooth. Although his hands shake, befitting a laosheng (old man) figure in the jingju tradition, lucid Lear tends to remain fairly stationary in the playing space, and the musicians match his stasis with sustained notes and chords. Mad Lear, on the other hand, is often all frenetic energy, his quickly mincing steps and extravagant tossing of his beard and sleeves mirrored by the discordant, frantic percussive music. Mad Lear can also be childish, however, and it is during one of these moments of simplicity that Lear betrays his keenest awareness of loss. Previous to this moment, Lear has killed a bird that was annoying him. This could have been a humorous moment; after all, Lear’s anger was precipitated by the bird’s biting him on the nose. Instead it is a terribly sad one, as the bird’s gentle song—a marked contrast to the tumultuous noise of the storm—is cut short by its death, leaving only a deafening silence. Shortly thereafter Lear slides into a state of childish simplicity. Taking mincing steps and assuming a shy smile and high, sing-song voice, Lear reminisces about his daughter’s childhood: “I, who favor the fair March, / Spy a blossom in the wild field. / Daddy picks a flower for the youngest daughter to wear in her hair. / I wish to see neither the flowers fade, nor the spring end. / Yet, the flowers fade and the spring stays not…” In this, his first speech after killing the bird, Wu/Lear betrays a keen awareness of the transience inherent to both human and nonhuman life. Lear’s childlike state of mind, as well as his remembrance of his daughter as a child, reflects the inevitability of aging, while Lear’s evocation of the fading flowers and passing spring serves as a meditation on the mutability of the natural world. This meta-theatricality is an important part of the autobiographical story Wu is trying to tell. As Wu has noted in his stage bill and in several interviews, he was especially attracted to King Lear because of the issues it raises about fatherhood, concerns that, for Wu, also intersect with his relationship to the theater. Having lost his biological father at a young age, Wu found a surrogate father figure in his acting teacher, Master Zhou Zhengrong, who trained him in the combatant male role type (wusheng) of jingju. As Wu became a better-known performer, however, he found himself engaging in conflict with Master Zhou. Following one particularly heated exchange, Master Zhou refused to acknowledge Wu as a pupil, an estrangement that existed even upon Master Zhou’s death and that is reflected in Wu’s attitude towards the trappings of his performance of Lear. Initially Wu throws the robe and undercoat down onto the floor in a spurt of anger, apparently rejecting the power that the character of Lear has had over him. In doing so, I argue, Wu is also rejecting his master, who he has frequently compared to Lear. Soon, however, Wu’s mood turns more contemplative. Having discarded his clothes in anger, he folds them reverentially, and for quite a while he carries the beard and wig, carefully positioning them so they continue to form the silhouette of a face. In a scene reminiscent of Hamlet in the graveyard, Wu addresses this silhouette as though it were a mirror, asking both himself and the audience, “Where is Lear?” Huang notes that “by addressing the costumes of Lear, Wu stages the king as two bodies, that of a fictional character and that of a human performer representing that character, juxtaposed to reveal the performer in search of an identity” (Huang 223). While this splitting of identity across actor and character reflects Wu’s conflicted feelings towards his late master, I would argue that it also serves to highlight the fundamentally ephemeral nature of the stage. Wu’s Lear is a powerfully realized character while embodied, but at the end of the act the audience is left only with a pile of clothes, the closest thing in the performance to a representation of Lear’s death. Lear’s mortality is in sharp contrast with Wu’s insistence on stasis: “I am back,” he says. “I’m still I that was, I that am, and I that shall be!” Given the play’s relentless emphasis on transience, such an announcement plays as profoundly defiant: in spite of the inevitability of plays to end, characters to die, and relationships to fade, the actor know as Wu Hsing-Kuo continues. Wu, like Lear, is here. Wu’s similar approach to the myth of permanence is revealed by play’s end, as a subdued Wu gives in to the unavoidable mutability of the world: “Lonely and quiet, I look coldly at the moon / That rises, sets, waxes and wanes.” Repeated twice, this final statement asserts the paradoxical fact, expressed so well in the old adage, that there is nothing permanent except change, that all life is inherently ephemeral. Wu speaks these words while he is being raised above the stage and into the space of storms and weather. Significantly, the stone statues of the first act, perhaps the play’s most evocative metaphor for instability, rise with him. Huang, Alexa. Chinese Shakespeares: Two Centuries of Cultural Exchange. New York: Columbia University Press, 2009. Kott, Jan.Shakespeare Our Contemporary. Trans. Boleslaw Taborski. New York: Doubleday & Company, 1966. Mentz, Steve. “Strange Weather in King Lear.” Shakespeare 6.2 (2010), 139-152. Spencer, David. “Slings and Arrows.” Aisle Say TV. No date. Web. 17 April 2012. Wu Hsing-Kuo in interview with Joyce McMillan. “EIF 2011 – Interview with Wu Hsing-Kuo, the solo King Lear.” Joyce McMillan Online. March 2011. Web. 17 April 2012. Haylie Swenson is a PhD Candidate in the English Department at George Washington University.